Breanna Carroll is our new addition to Nazemi Chiropractic, providing her knowledge, skill, and passion of Massage Therapy to the team. Her journey began as a witness to the positive effects massage played in her personal life. With a background in competitive cheerleading and yoga, she was no stranger to the tension and tightness that can often exist within our muscle tissue and fascial body. She learned that our entire being is multifaceted, and with the proper care our bodies, internal and external can be healed and expanded to new depths. 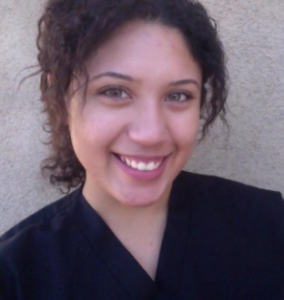 Taking her experience and interest further, Breanna enrolled in school to become a certified massage therapist. With a completion of her extensive Massage Therapy course she is now eager to share this piece of healing to those seeking wellness.